It has been suggested that 68% of journalism in the future will consist of people sitting around discussing the future of journalism. I've certainly been at, or spoken at, many events on this theme in the last couple of years. Last year the focus was very much on iPads and paywalls. I had a quick peek at some news apps as soon as the iPad was released, and I've been impressed with apps like Flipboard, despite worrying that it could be yet another way for publishers to lose control and not get paid for their content. On the paywall issue, I've written about George Brock 'stealing' his own article, AA Gill getting protection from wider criticism, The Times and The Sunday Times learning about having 'customers' not 'readers' and how saying no to the paywall doesn't necessarily mean saying yes to another online newspaper. At December 2010's news:rewired event, I ended up blogging about Reader-centred journalism after hearing Joanna Geary's keynote about valuing the 'fans' behind the Times paywall. The future of the industry will be shaped by the people who enter it, and last year I wrote three series looking at journalists of the future, on their blogs, on their student union newspaper websites, and by interviewing young journalists who have recently started their careers. I also helped 'the wannabe hacks' with my advice: "Just get started. Tomorrow". The skills that journalists are going to need in the future are also changing. The debate about whether journalists should learn to program has been going on for some time. My answer is yes. And no. It is more important to get a programming mindset for automating repetitive tasks than actually learn a language, and there is nothing wrong with using desktop tools like a spreadsheet to automate menial tasks. And whatever skills they have now, they will need something like my guide to HTML5 for journalists. Back in 2009 I gave a talk entitled "The tyranny of chronology" at the #newsinnovation unconference in London. Amongst other things, it looked at how to reinvent news metadata and production tools to facilitate more efficient digital journalism. Another presentation I gave on a similar theme was as part of a panel at the first London Linked Data meet-up, entitled "Linked Data and the future of journalism". One of the biggest obstacles facing news organisations across the globe to charging for news is that, well, news is global, and there is an overabundance of supply of not just the editorial content, but of the advertising inventory. B.A. Robertson can teach the news industry something about the price of scarcity. 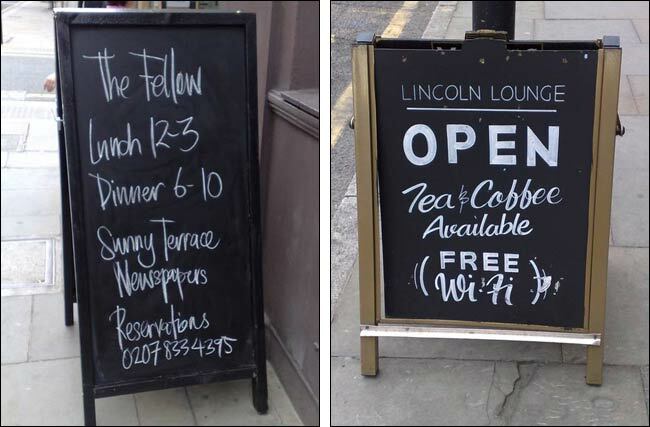 And I still find myself pondering: "free newspapers or free wifi - which appeals more? ".